Would you recommend RemoteHub to a friend? @raunometsa This is great! 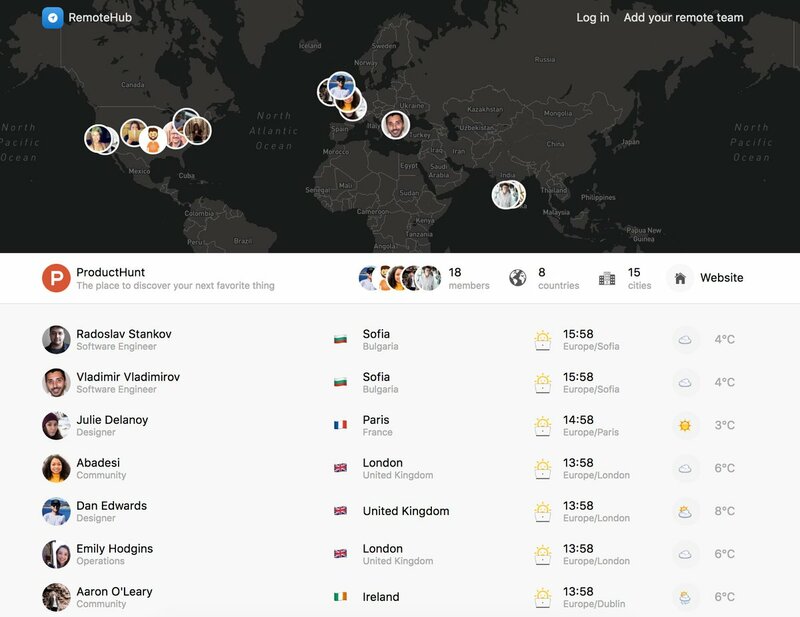 Loving the Product Hunt team page http://remotehub.io/@producthunt One question: How are locations determined? One of our guys @deezy is shown as 'World' for example 😃 Congrats on the launch! @producthunt @deezy @raunometsa aha! Perfect, thank you. Congrats again! @hfauq Thank you, sir! You are so cool! @rrhoover Thanks! Yes, I will definitely improve this further. Just launched my next indie project – https://www.producthunt.com/post... I have couple of more project ideas I can work with, but maybe I'll come back to RemoteHub very soon! @raunometsa Really cool! Could you maybe sort the members list by timezone?